Remember that our science class is also a technology class. This project is designed so that you learn the basics of screencasting to create a multi-media product. The final product of this project is to make a video that is at least 4 minutes in length but no longer than 5. To do this, you can either team up with another student in your class or do this on your own. It may seem that working with another student could save work but it turns out that it takes about the same amount of effort. NO groups of more than 2 students are allowed. If you plan to work with a partner, be sure to choose wisely. What if your partner misses school due to an illness? What happens if your partner does very little to help? Having a partner sometimes can be more stressful than working alone. Just remember that if you share the project with a partner, you also share the responsibility and the final grade. Project grades are worth lots of points. Mr. G will give you an organizer to fill out. Use the below information to help you fill it out. You do not need to write down everything! Choose information that is necessary to tell your story and complete the requirements. Note that the required words to use are highlighted in RED. Charles Robert Darwin - February 12, 1809 - April 19, 1882 (Aged 73) Darwin is buried at Westminster Abbey near Sir Isaac Newton. It is a high honor to be buried at Westminster Abbey. Darwin is best known for his theory of natural selection that explains how evolution works. In other words, natural selection is the mechanism in which species change over time. He is famous internationally and is often described as one of the most influential scientists of all time. Darwin was the 5th of 6 children in his family. His father was a doctor and an investor. His family was wealthy. As a child and in to his teenage years, Charles Darwin was immensely interested in natural sciences. He was a collector of animals and enjoyed exploration of the outdoors. His father intended him to be a doctor. Darwin graduated from the University of Cambridge and then went on to medical school. He found the medical lectures to be boring and was bothered by surgeries. Charles continued to pursue natural sciences and ignored his medical studies. This annoyed his father. Charles Darwin was recommended to join the HMS Beagle on a survey mission to South America. The voyage was planned to last 2 years. His father objected but Charles' uncle convinced his dad to agree to the trip and pay for it. On his return Darwin wrote about his experiences and became a famous author for his stories about the trip. He married his first cousin, Emma. Together they had 10 children (3 of them died at an early age). He kept secret notebooks containing his evidence and ideas for his new theory which he called natural selection. Darwin would not publish these findings for nearly 20 years. 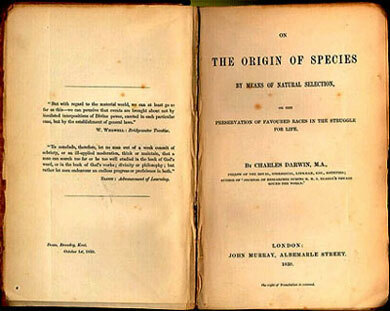 He published his book, "On the Origin of Species" in 1859. It became a revolutionary breakthrough in science and a was best seller for decades. Darwin continued writing and publishing further works throughout the rest of his life. Read above to see how Charles Darwin ends up on this epic voyage around the world. The HMS Beagle (HMS - Her Majesty's Ship) set sail from England on December 27, 1831. It was captained by Robert FitzRoy. Darwin was to serve as a companion and as a naturalist on the ship's survey mission that was expected to last just 2 years although it took nearly 5 years. Charles Darwin was 22 years old when voyage began. The voyage had a mission to survey coastal areas of South America though it would eventually circumnavigate the globe. Unfortunately, Charles Darwin never adjusted to life at sea and was constantly sea sick. Because of this, Darwin tried to spend as much time on land as possible. The Beagle spent their first two years on the east coast of South America. There, Darwin explored rainforests for the first time. The rainforests fascinated the young naturalist and increased his interest in species. During his time exploring and collecting specimens along the South American coast, Darwin also looked for fossils. He uncovered several large fossils including megatherium (an extinct ground sloth the size of an elephant) and glyptodon (looks like a huge armadillo the size of a Smart car). On one excursion, Charles Darwin hired guides to take him further inland. These guides were Argentinian gauchos (cowbows). Darwin enjoyed their lifestyle and learned much from them about the animals and plants that lived in their environment. Darwin was fascinated with two species of rhea (a large flightless bird similar to an ostrich) that seem to replace each other over a region of southern South America. After surveying much of the east coast of South America, the HMS Beagle made it rounding the treacherous waters of the southern tip. Darwin explored the Andes mountains where he found fossils of seashells atop mountains 100 miles inland. He also experienced a major earthquake that leveled nearby villages. Darwin observed the land being upraised, caused by the earthquake. He understood that small changes in the earth over vast amounts of times caused the sea shells to be lifted high in the mountains. After spending some time on the western coast of South America, the HMS Beagle headed to the Galapagos Islands. While the HMS Beagle only spent 5 weeks here, Darwin collected a number of specimens and made observations that would later become textbook examples of his theory. Species he observed here included finches, mockingbirds, and tortoises. BIOLOGICAL EVIDENCE: When structures like beak shape are compared, this is biological evidence supporting evolution. Darwin compared beak shapes of finches. This gave Darwin evidence to show that they had a common ancestor. He observed the same pattern in the mockingbirds. The tortoises had similar structures suited to their environments as well. Another set of biological evidence is vestigial organs. For example, in the movie we watched, Darwin observed 3 birds that had wing functions other than flight. The Steamer used its wings as paddles, the penguins as fins, and the rheas as sails. This is biological evidence supporting the use of wings for these species has changed over time. Leaving the Galapagos Islands, the Beagle headed to the South Pacific. There, Darwin observed strange rings of coral with calm water on the inside. Today, these are called coral atolls. Darwin was intrigued and proposed a hypothesis how they were formed. After visiting the volcanic islands of Tahiti and Morea, Darwin believed these atolls were once volcanic islands. The volcano had long went extinct and over an immense amount of time had sunken and eroded away. This proves again that Darwin had remarkable ability to see changes over vast amounts of time. Leaving the South Pacific, the HMS Beagle also stopped in Australia where Darwin noted how unusual the marsupial kangaroos and platypus were. Continuing on the way home, the Beagle stopped in South Africa where the captain and Darwin met up with John Herschel, a famous English scientist at that time. Darwin particularly enjoyed the visit and was influenced by Herschel's work and discussion. Some of Darwin's writings refer to Herschel's description of the origin of species as the "mystery of mysteries". On the return home, Darwin spent much time examining his specimens and reflecting on his notes and observations. He is convinced that species change over time and upon his return will begin a "systematic inquiry" to try to figure out HOW it happens. The HMS Beagle returns to England on October 2, 1836. At this time, Darwin is 27 years old. Darwin has a number of specimens and observations he used as evidence for his theory of natural selection. BEFORE the HMS Beagle leaves England, Captain FitzRoy gives Darwin a copy of a book that has a major impact on his thinking, Principles of Geology by Charles Lyell. In the book, Lyell explains that landforms (such as mountains, valleys, and seashores) are the result of small gradual changes over vast amounts of time. Charles Darwin will adopt this idea in his observations and apply it to all life. While in South America, Darwin uncovered fossil evidence to support his theory. One fossil Darwin found was glyptodon. The fossil showed a striking resemblance to the armadillo. Darwin hypothesized that glyptodon is an ancestral cousin to the armadillo. Another fossil that Darwin uncovered was megatherium, a large extinct ground sloth. Darwin observed tree sloths in South America. He hypothesized that the extinct megatherium and the modern day tree sloth are related. In South America, Darwin spent some time with a group of gauchos (cowboys) in Argentina. While there he saw an ostrich-like bird called the Rhea. There are two species of the rhea that replace themselves over a region. There is a larger rhea that lives in the north. As you travel south, the larger rhea disappears and a smaller one survives, the Lesser Rhea (also known today as Darwin's Rhea). Darwin uses this as evidence to show that these two species had a common ancestor but have changed over time to adapt to the environment of their range. While in Chile, Darwin and his ship mates experience a major earthquake. Darwin observes that it leveled nearby villages and more importantly notes that large portions of land had been upraised. This gives Darwin a first count experience to understand that small changes over time can bring about great transformations in the landscape. Darwin travels through the Andes mountains bordering Chile and Argentina. He was 100 miles inland and high up in the mountains where, to his surprise, he finds fossils of seashells. Darwin hypothesizes that these rock layers must have been part of the sea in earth's past. Understanding that the earth changes over vast amounts of time allows Darwin to apply this same idea to life. 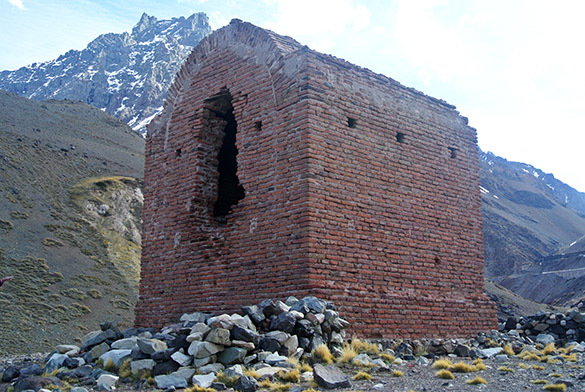 Pictured below is one of the shelters Darwin stayed in during his explorations in the Andes mountains. 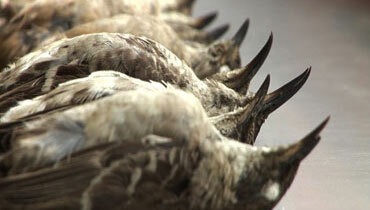 Some of Darwin's most popular evidence comes from the Galapagos Islands. The HMS Beagle spends only 5 weeks in the Galapagos but the evidence that Darwin finds there later becomes textbook examples for his theory of natural selection. One of the most famous group of species used as evidence for Darwin's theory of natural selection are the Galapagos finches. 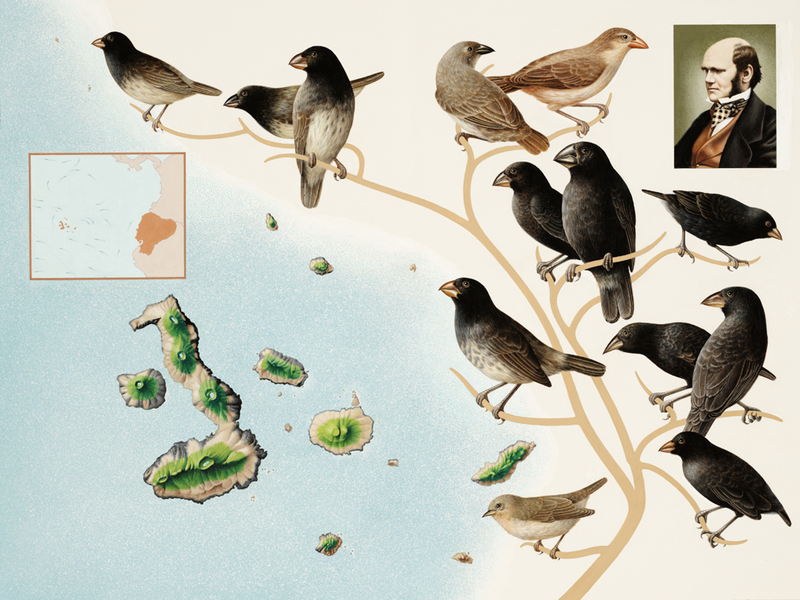 Darwin theorizes the islands were colonized by a finch species from mainland South America. Over time, the finches evolved based on the food type available on each of the islands. Some beaks changed to be better adapted to eat insects while others to be better suited in collecting seeds. Another group of species Darwin used as evidence were the Galapagos mockingbirds. 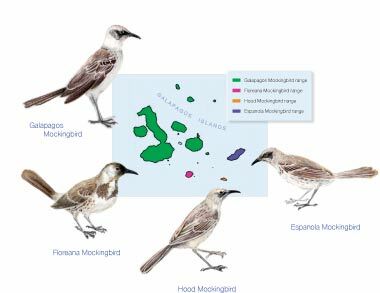 Similar to the finches, Darwin discovered that there were separate species of mockingbirds inhabiting each of the islands. The mockingbirds also had noticeable differences in their beak shapes providing another strong piece of evidence that mockingbird populations on each of the islands evolved their beak shape to be better suited for the food type available. After Charles Darwin returned home to England he began to inquire HOW species change over time. One day Darwin was reading an essay by Thomas Malthus that sparked his greatest idea. Thomas Malthus explained that if human populations were to grow unchecked (no wars, no diseases), it would experience great growth until there was not enough food. Malthus argued that once food supplies would run out, humans would fight for survival. The strong and smart ones would figure out a way to survive while the weak would simply perish. Darwin recognized that all life works in a similar way and used this idea to develop his theory. Darwin called his theory natural selection, the survival of the fittest. Our textbook definition for natural selection: The process through which members of a species that are best suited to their environment survive and reproduce at a higher rate than other members of a species. Our textbook outlines 4 key principles of natural selection: Overproduction, Variation, Adaptation, and Selection. Overproduction - In nature, organisms typically produce more offspring than the environment can support. 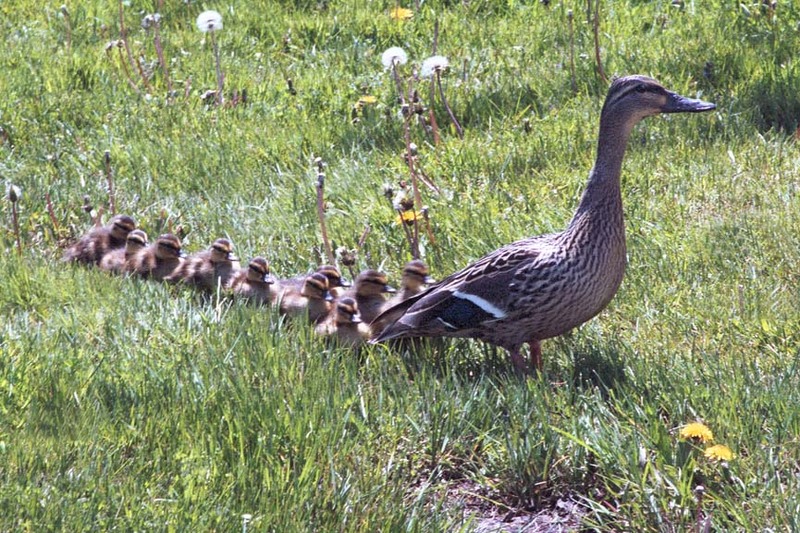 Variation - The offspring will be different genetically than their parents. In the population, there will be a large variety of traits. Adaptation - Some traits can provide a benefit to survival or reproduction. Having a benefit enables an organism to have a better chance at survival and/or reproduction. Selection - Individual organisms go through a struggle to survive and reproduce. There are a number of environmental factors (or limiting factors) such as food supply, disease, habitat, space, pollution, predators, weather, and more that make it difficult to survive. The individuals that do survive are able to pass down their genes to the next generation. Species experience small changes in their population over time. After a great period of time, these changes may be so genetically different that they can be considered different species. The evolution of a new species from an existing species is called speciation. Write out your video script. This is the most challenging part and usually takes most students 2 full periods to write. It is a great idea to read the below sample script so you have a good idea of what it should sound like. If you are working with a partner, BOTH of you should work on this together. If you are unable to stay focused with this partner, choose someone else or work on your own. You can hand-write this OR type it in a Google Doc. A Doc is a better choice since you will need to read your script aloud during your recordings. A typed script is usually easier to read. Your video needs to be at least 4 minutes long but no longer than 5 minutes. How do I know how long my video will be!? Use Google Stopwatch and time yourself while you read your script aloud. IMPORTANT: While you may use the information below, any form of plagiarism (direct copying of all or part) will result in a project score of ZERO for BOTH you and your partner. Intro – Create an exciting video introduction. Welcome to The Greatest Scientific Breakthroughs with Mr. G. Today, on The Greatest Scientific Breakthroughs, we travel back to the 1800s to learn how a young naturalist, Charles Darwin, traveled around the world to assemble a number of observations and evidence to formulate his theory of natural selection. (Slide 1) Charles Darwin was a British naturalist who was the first person to develop a reasonable explanation for evolution, that is, how species change over time. Darwin called his great idea, natural selection. (Slide 2) At a young age, Darwin had the opportunity to sail around the world. The long journey allowed him to collect evidence and explore scientific ideas about the natural world. (Slide 4) Charles Darwin boarded a navy ship, the HMS Beagle, in December of 1831. The Beagle’s mission was to survey and chart the coastlines of South America. It was expected to be a two year journey but lasted nearly 5 years. (Slide 5) Unfortunately for Darwin, he experienced intense sea sickness during the journey. As a result, he spent as much time as possible on land. Darwin was able to explore large portions of continental South America as well as other stops across the world including the Galapagos Islands, islands and atolls of the South Pacific, New Zealand, Australia, and Africa. (Slide 7) As the HMS Beagle traveled home, Darwin studied his collection of notes and specimens. These accounts convinced him that species change over time. One fossil he collected on the east coast of South America was glyptodon. Darwin identified the fossil as a large form of an extinct armadillo. He theorized that glyptodon was the ancestor to the modern day armadillo. This supported his idea that species change over time. 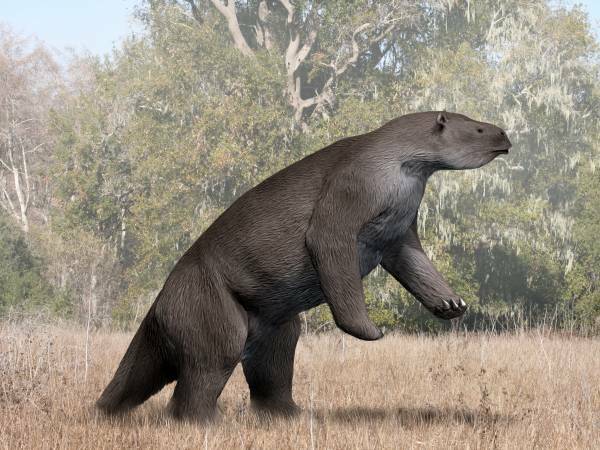 Another piece of fossil evidence Darwin discovered was megatherium. He was fascinated that this large fossil resembled the tree dwelling sloth he observed inhabiting the same region. Darwin pondered the idea that the extinct megatherium evolved into the modern day sloth over a large amount of time. (Slide 8) Classic examples of Darwin’s evidence are the finches and mockingbirds he collected in the Galapagos Islands. Darwin observed that each of the finches and mockingbirds had different shaped beaks on the different islands they inhabited that were suited to the specific food types available. These specimens became evidence to show that a trait such as beak shape gave an advantage to survival in an environment with a limiting factor of food availability. 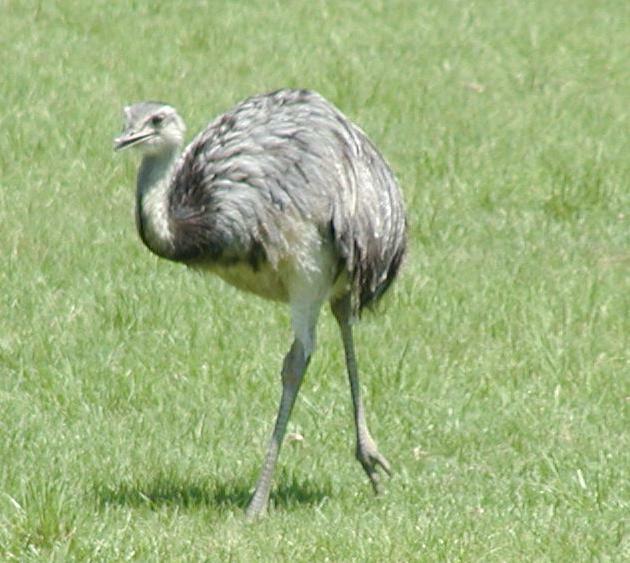 (Slide 9) When Darwin was in the southern region of South America, he was able to observe two types of Rhea, an ostrich-like flightless bird. Darwin recognized that the ability to fly was vestigial. In other words, the rhea’s ancestors had the ability to fly but the wing structure has lost this function over time. Darwin observed other vestigial organs and structures in other species as well. Another example was the vestigial leg structures in whale fossils. Category 4 – Describe the theory of natural selection. Describe Darwin’s ideas of “survival of the fittest”. Use terms adaptation, environmental factors, speciation, natural selection, theory, limiting factor, population. (Slide 10) From his observations and insight, Charles Darwin developed his theory of natural selection. This theory has four key principles. The first principle, Overproduction, explains that organisms tend to produce more offspring than the environment can support. Second, Genetic Variation, states that offspring produced through sexual reproduction do not receive the same exact genes as their parents. This leads to a variety of changes in each generation. (Slide 11) Third, Adaptation, gives some members of a population a survival and reproduction advantage over others of the same species. The variations of offspring can have traits that either increase or decrease chances of survival. Fourth, Selection, is all about survival and reproduction of an organism. Environmental factors are conditions that affect survival. Factors such as food supply, predators, climate, and habitat create a struggle for an organism to survive. Sign-off – Create an exciting conclusion and sign-off. Darwin’s mechanism for evolution establishes a unifying theory for all life and explains the diversity of organisms on Earth. Until next time on The Greatest Scientific Breakthroughs, I’m Mr. G and I want to thank you for watching. If this outline became a script, it would create a video that is about 5 minutes in length. Create a Google Presentation that you will use for your presentation. If you are working with a partner, you should share the work creating the presentation. As a general guideline, create a total of 12 slides (3 slides per category). Important, make sure the information and the pictures match your script! Use the pictures above in your presentation (you should know how to do this). These are the slides that you will show while you and your partner are reading your script. EXTRA CREDIT: +20 points Have a total of 16 slides that match well with your script. If your slides do not match what you are saying, the extra credit points will be reduced. If you are working with a partner, it is useful to mark on the script which partner will read certain parts. Some students do this by highlighting paragraphs in different colors. After it downloads, you are done. Success! 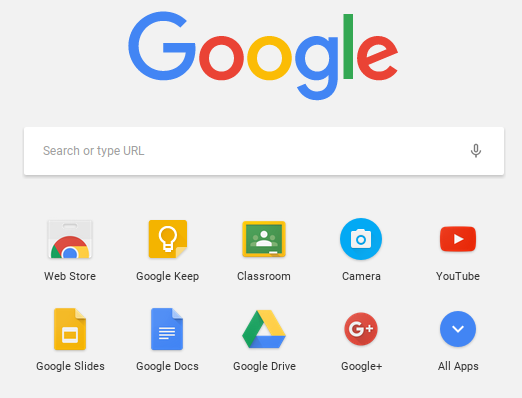 The app's icon will now show up in your browser every time you use that computer. Note that they changed the icon and it now looks like an orange arrow. After you see the icon, go ahead and test it out. 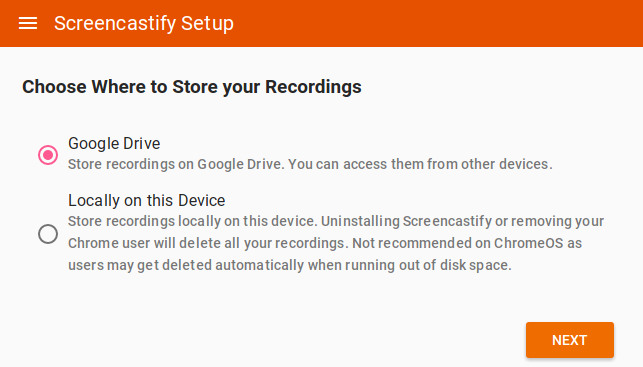 Select storing your recordings on Google Drive (see below). You do not need to activate Tab Recording. You can set this up later if you want to use it but it is not needed for this project. Watch the Screencastify video to see how it works. 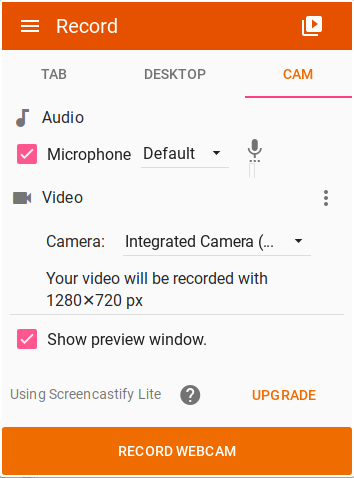 Go ahead and test out recordings with your webcam and by screencasting. Testing out the features before you start recording your project videos. It is always a great idea to familiarize yourself with any new app or software you will be using. After you complete the settings, click on the black film movie icon in the upper right of your browser again to do the following. 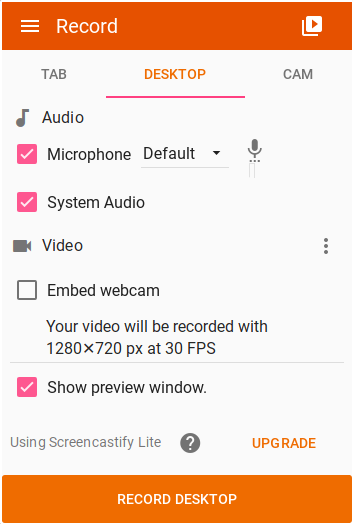 IMPORTANT: To record your desktop (for your screencast), use these settings. Click on the gear icon to access the settings. 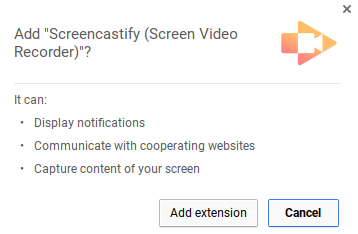 Then it will ask you this and be sure "Your Entire Screen" is selected then click share. 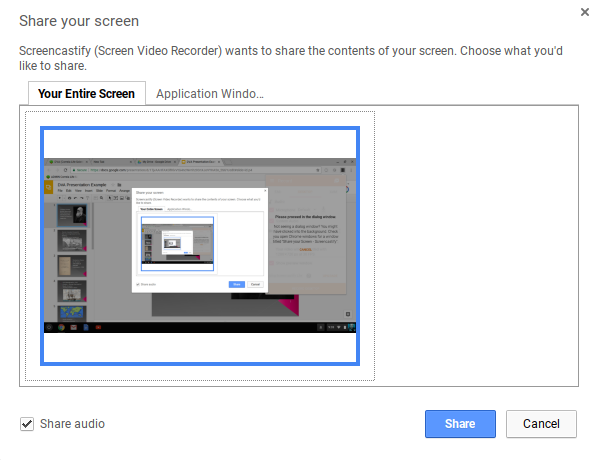 Try out screencasting, it is recording your entire screen AND your voice. 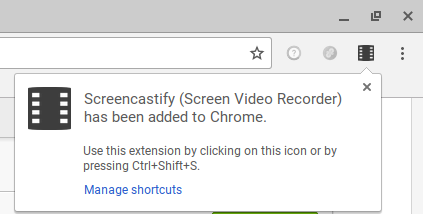 It is easy to stop the recording, simply go back to the Screencastify icon and select Stop Recording. Time to start recording. If you are working with a partner, only one of you will record the videos on his/her Chromebook. It is really important that this partner is very reliable and rarely misses school. You (and your partner) will record three video segments: 1. Webcam introduction 2. Screencast 3. Webcam Sign-off. Let's face it, recording yourself is a bit awkward at first. It is natural to be embarrassed. You will likely have to re-record several times. If you re-record dozens and dozens of videos, you can easily run out of class time. Try not to worry about making little mistakes when speaking. Besides, only your teacher and some other students will see your video so perfection is not necessary! IMPORTANT: When recording, you must speak very clearly. If your teacher can not hear you, he/she will not be able to accurately grade you. Delete your bad recordings right away. This way, the bad recordings will not be uploaded to your Drive. Recordings can take up to few minutes (often much faster) to upload to your Drive so don't sign-out of your computer immediately after making a recording. Once the videos are on your Drive, it would be a good idea to rename them so they are easier to find later. I suggest renaming your 3 videos Darwin Video Intro, Darwin Video Screencast, and Darwin Video Signoff. You now should have 3 good recordings on your Drive: 1. Webcam Introduction 2. Screencast 3. Webcam Sign-off. Time to edit the videos and assemble them together. If you are working with a partner, you will only need one computer to do this. Use the same partner that recorded the videos. It is really important that this partner is very reliable and rarely misses school. 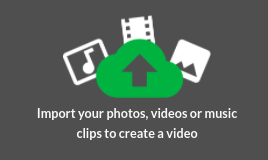 Install the video editing app, WeVideo. Just as you did before to add an app, go to the Web Store and search for WeVideo. IMPORTANT: Some of the directions now look a bit different since the app was recently updated. Ask Mr. G or another student if you are unsure of what to do. You should be familiar with this process. Be sure to follow the directions below. 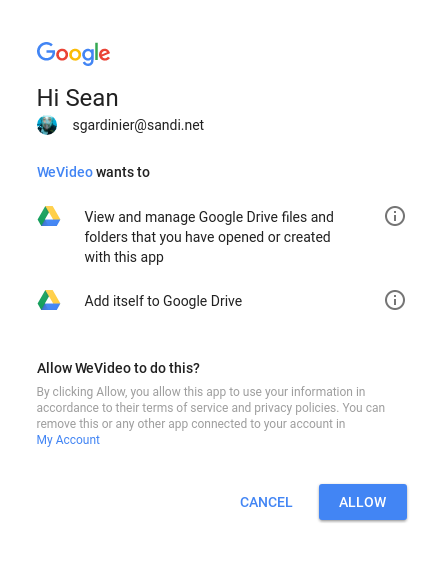 Add the WeVideo app to Chrome. BE SURE THAT YOU ARE GETTING THE CORRECT APP! After, you'll probably get a pop-up and simply click Add app. Next, locate WeVideo in your apps. 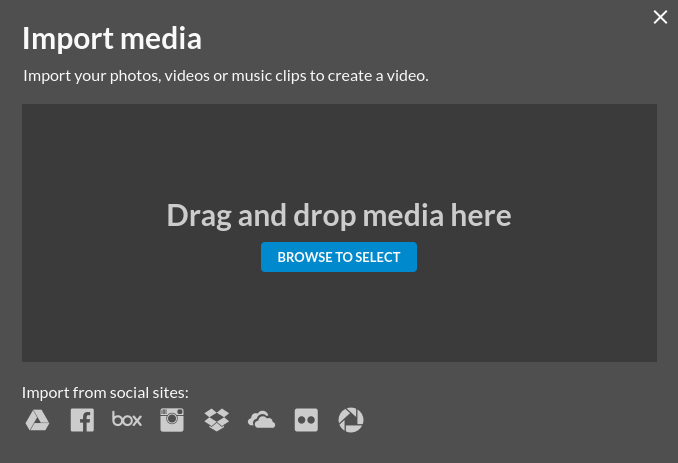 To launch WeVideo, go to your Chromebook apps and select its icon. It will then want to gain permissions and you can simply click Allow. The permissions look like this"
Then go ahead and select that you are using it for SCHOOL, you are a STUDENT, and K12. After that, WeVideo offers a tutorial. You can check it out if you want but it is not necessary. 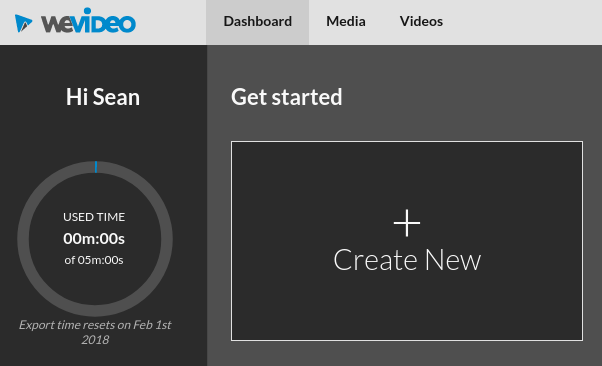 Finally, you can access your dashboard on WeVideo. When you do get here, select Create New. Be sure to add all three videos! Hold down the ctrl button while you click each of the three videos. It will take WeVideo about 1 minute to add your videos. The hard work is now over and it should be smooth sailing to the finish line! It is time to edit your videos. You'll assemble the video clips together and trim off any parts that are not wanted. This takes a bit of practice to get good at. If you have any video editing experience, this should be really easy for you. WARNING - WeVideo is a great app BUT the free version only allows up to 5 minutes of video. Your video must NOT go over this limit. After the import, your videos should look like mine in the below image. Next, drag your introduction video to the timeline. NOW IS A GOOD TIME TO USE HEADPHONES! You will likely need to trim off the bad parts of your video clips. This is usually the beginning and the end of each clip but you can trim out any parts that are not needed. Notice the blue playhead. Some helpful hints are using the space bar to play and stop. You can also use the arrow keys to move the blue playhead left and right. Where you want to trim a clip, simply position the blue playhead line exactly where you want the clip to be cut. Then click on the scissors to cut. After, you can select the bad part you do not want (highlighted in orange) then hit the delete/backspace key and it is eliminated. If you make a mistake, remember that CTRL Z is the shortcut to undo. 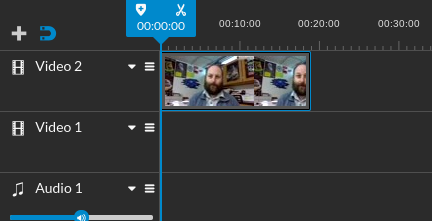 After, you can drag your other 2 clips to the SAME video timeline and also trim them. Be sure to arrange them in the correct order, Intro->Screencast->Signoff. Be sure to get help if you need it. Many students know how to do this so just ask! Once all your clips are trimmed and your video is ready for the big time, then move on to the final step! EXTRA CREDIT: +20 If you add audio effects and/or music to the background in at least 4 minutes of the video. The audio must not distract or overpower the narration. You are very close to being done with the project! Hopefully your video is at least 4 minutes and no more than 5. When ready, select Finish towards the top of WeVideo. Add a title in this format: DVA, your name, your partner's name, your science period. IMPORTANT, select the Google Drive icon as your destination. BEWARE! WeVideo is a very nice free app but it only allows you to publish 5 minutes per month. Be sure that you are absolutely ready to publish your video before doing this step. Replay your video and make sure all of your edits are complete. If you "accidentally" publish, you could publish again using your partner's computer and account. It will take a few minutes for WeVideo to process your video and send it to your drive. Your final video can be found in the WeVideo folder on Drive. IMPORTANT, last you need to locate the final video file in your drive and share it with your teacher! Wow. Great job! Give yourself a pat on the back! Many of the below attachments are OLD files. Use the above directions!